GINA-MARIE JIMENEZ has been studying dance and acrobatics in South Florida since the early age of three. She received her training at Michael’s Academy of Dance & Gymnastics and quickly found her love for jazz, hip-hop and acrobatics. During her teen years, Gina went on to receive numerous awards at local regional and national competitions in both jazz and acrobatics. In 2005, she performed as a field dancer for Kelly Clarkson and Ashlee Simpson at the Orange Bowl in Miami. Gina furthered her training in 2007 when she was accepted into the Broadway Dance Center’s summer program in New York City where she was selected to assist celebrity choreographer, Brian Friedman, for the Pulse Dance Tour in Manhattan. She is certified by Dance Masters of America to teach acrobatics of all ages and has been recognized by DMA for her acrobatic and jazz choreography at both regional and national title competitions. Two of her students have held titles for both Miss Teen Dance of Florida and Miss Dance of Florida and have performed her choreography for those pieces all around the country. 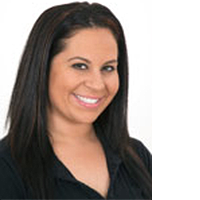 Above all else, Gina’s true passion is giving students a quality dance education where they can acquire excellent technique, be creative and learn how to use their talent to freely express themselves as individuals throughout their dance careers.